April is National Kite Month! This simple springtime pastime is a great family activity, but finding the perfect place can be a challenge. The Finger Lakes offers up a total of 11 lakes in the region which all provide the perfect mix of location and wind. In Cayuga County, there are some great open spaces and parks that lend themselves well to this relaxing pastime. 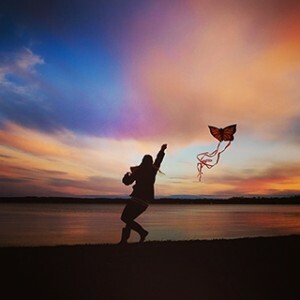 So, pack a picnic and the kids, and head out to a windy spot to enjoy some kite flying! a. The length of the string (short enough to keep the kite away from any hazards). b. The kite flyer must not interfere or endanger other park users. c. The kite flyer would be responsible to insure the kite does not become entangled in trees, power lines etc. What else is there to do? If you make the trek to Emerson Park but the winds just won’t agree with you never fret there are plenty of other activities to enjoy! Emerson Park also offers playgrounds, swimming in the summer, picnic shelters, and even a dog park. Activities such as paddlecraft rentals and disc golf are available. Also located on park property is the Ward O’Hara Agricultural Museum. Looking for a bite to eat afterwards? Green Shutters is right across from Emerson Park and offers a not only ice cream but a full menu with seating inside and out. 2. Frontenac Park is another great option. 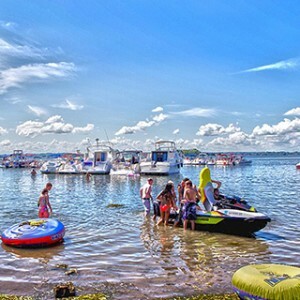 Located in the Village of Union Springs the park has an expansive property of twenty-seven acres that is open and some great lake front as well along the shore of Cayuga Lake. The park is seasonal so during the off season kite flying is an at your own risk activity. The park has two picnic pavilions and a gazebo available for reservation. This spectacular 1400-acre site, with nearly two miles of Lake Ontario shoreline, features glacially formed bluffs withscenic vistas of Lake Ontario. The Sterling Nature Center is open from dawn to dusk every day of the year. The beach is ideal for kite flying but please keep in mind not to get too close to any areas with trees and to use good judgment. Since this is another property operated by Cayuga County the same rules apply for kite flying as at Emerson Park. When the wind conditions are right you should be able to fly a kite on McIntyre&apos;s Bluff successfully. If you want to take a break, take the family on a hike throughout the nature center’s network of trails. If you love all things that fly then make sure you visit the Nature Center&apos;s rookery that offers up the Great Blue Heron who are nesting during the spring. If the visitor’s center is open be sure to check out their exhibits inside that feature information about many of the creatures that live on the center’s grounds. Additionally the center offers special events and programming. If you want to learn more visit: http://www.cayugacounty.us/Community/Parks-and-Trails/Sterling/Sterling-Nature-Center-Events and make a full day of nature exploration. *Please note check in with the municipality that you are visiting to find out rules and regulations beforehand. Due to safety issues, all NYS parks prohibit kite flying.